I’ve been hugely busy in first life recently and unable to say much on this blog – no doubt you are all thankful for this! With another complicated week ahead, I’ll be brief with this round-up of Furillen news. Second: we nominated three winners of Round 5 of the Furillen Photography Competition. You can see their pictures upstairs in the gallery of Bar Cafe Fabriken. Congratulations to them! I’ll be providing the playlist and taking requests before and during the event for your favourite Prince tunes. In addition, a slideshow of pictures spanning the career of this incredible musician will be installed on the sim – along with one or two bits and pieces of Princely stuff. First: As you’ll know from previous posts here and here, Bar Cafe Fabriken is up and running and held its first event, a Blues night with DJ Wolf Austrone, last weekend. I’m very pleased to announce that from 29 April, Wolf will be playing a weekly set for us: every Friday, 2100 CEST. It’s in keeping for the bar at Furillen to be holding such a regular event, and we are incredibly lucky to have such a good in-house DJ playing music that suits the ambience. As those who heard his set on Saturday will know, Wolf specialises in playing requests, so it’s a good time to brush up your Blues knowledge and throw him some suggestions when the time comes. Second: We won’t – of course – just be playing Blues at Bar Cafe Fabriken (although this does make a change from the forced diet of House music I feel that I’ve been given over the years on the grid). On 23 April, we’re planning to hold a beach party at the bar, and will be putting a suitable playlist together – which will not only be ‘retro’ – for the occasion. We’ll be giving out more details of this event during the next few days. Fourth: The Furillen photography competition goes into Round 5. The last round did not have a big entry, but the quality of the albums entered was very high indeed, as you’ll see this week on this blog, where two have already been posted – here and here. Each round has a different focus and feel. Details of Round 5 are here – I hope to see more entries this time, but we’ll welcome whatever comes in. Fifth: New buildings are in the pipeline, courtesy of our builder, KT Syakumi, who made Furillen’s pier. Incidentally, KT has acquired a spectacular new PC, on which she is beginning to show off her skills as a photographer. Keep an eye on her flickr stream – and look out for the exhibition of her first life photography that we’ll be holding at Furillen in the next couple of months. Sixth: On that very note, we are about to launch a new series of exhibitions of photography and art with a first life connection. These will consist of ‘real life’ photographs taken by Furillen regulars; pictures that explore the relationship between the two worlds; or art – painting, for example – from first life. This is an open-ended series, if you’d like to take part and believe you have something to offer please do get in touch. Given Furillen’s real life connections – after all, they tried to close us down because of them, haha – I think the sim is a good place to explore this theme. Well, almost … before I go, here is a clip from last night’s Muse set in London. It was a spectacular show, although Muse are somewhat ‘corporate rock’ these days. Their drones really do fly, and I’ll be popping back to the venue tonight to see if I can figure out how they work. Footage will follow! 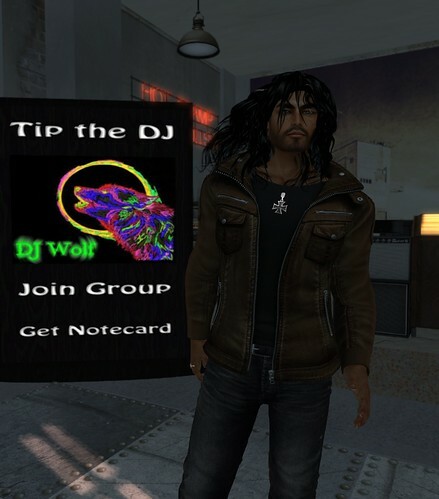 As with every such event at Furillen, this was first about music, and in Wolf Austrone we were fortunate to have a DJ whose knowledge of Blues music is quite astonishing. He started with a run of Swedish blues numbers, and took us through a catalogue that I am told exceeds 500,000 songs. We will be inviting Wolf back very soon, and I hope he’ll become a regular fixture at the bar – I can’t praise him highly enough. I must – again – thank Micky and Dooozy for putting such energy into this. The bar really does look ‘bluesy’, and feels as if it’s been here for years. And yet it has a distinct Furillen touch with those murals taken from pictures of the real Furillen. Credit for this must go to Micky, who not only came up with a bright idea but got on and realised it. As I said in a recent post, this is genuine collaboration, and it is a great pleasure to experience it. Furillen’s new bar opens tonight at 2100 CEST, with a Blues Night – DJ Wolf will be providing the tunes. In order to get the bar ready, the sim will be closed from around 1800 CEST. Hope to see you there! Exact time to be announced, but likely to be around 2100 CEST. As I never tire of reminding people, Furillen was always about collaborating within a dynamic, constantly-changing virtual space, not putting on a finished sim that sits proudly – but passively – while the vast Flickrite army visits, takes its fill of similar-looking pictures, and moves on to the next place. We had our fair share that on the sim – with highs of 400-500 visitors daily, all snapping away. But I am more comfortable with how the sim is evolving, with a steady stream of around 150 visitors daily, many of whom are part of what can only be described as a Furillen ‘community’. 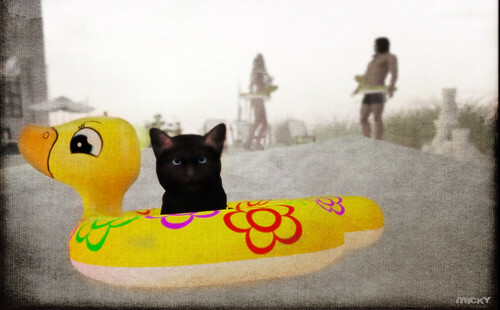 A sense of belonging and connection is important to many people who regularly ‘play’ Second Life, and I try to support it at Furillen with events, the competition, this blog, and periodic invitations to get involved. We had our flash mobs too, in the past, and no doubt we’ll have some more. Meanwhile, others made fantastic contributions to the sim itself – such as Laura and her gorgeous Yellow Room (and I am sure that Laura will soon be jumping at the chance to do a new room). As for the competition, this is now in its fourth round with some wonderful entries that – as with Round 3 – I will be publishing on this blog; and Furillenites have put together some great videos, which celebrate both the sim itself (you can see most of them here), and specific events, such as those made for the Radiohead event (which can be seen here and here and here), and the videos of the events that were made during our Abba event and the disco night. In future, Furillen will be hosting more exhibitions in its own inimitable style – eschewing the gallery approach that characterizes most art presentation in Second Life, in favour of the slide show style we enjoyed with Moon Edenbaum’s show earlier this year. There are a few such exhibitions in the pipeline, as you will soon see. So there is plenty happening at the sim; indeed we are busier than ever. This weekend we’ll be announcing the winner of Round 4 of the Furillen Photography Competition – entries close tomorrow. I am noticing that while there are fewer entries for this competition – inevitable, given that there is no cash prize and the brief is getting more stringent every time – the standard is going up very high indeed. What satisfies me most is that almost everything – no, absolutely everything – I have referred to in this post has been made by others: regular (and irregular) visitors to Furillen, many of whom I did not know before the sim opened in October. 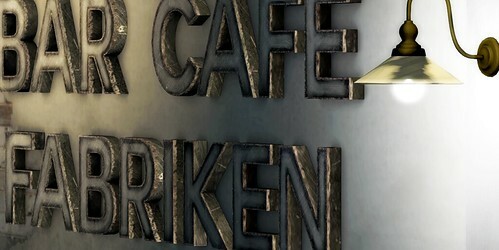 And so it is with our newest venture – Bar Cafe Fabriken. This opens on Saturday, with an evening of Blues music provided by Second Life’s greatest blues exponent, DJ Wolf. The bar as been built and decorated, and is sitting somewhere on the grid, waiting to be moved across – en masse – during the day on Saturday. … leading to our first music event – that fabulous Bowie weekend – and evolving into a series of events, through Abba, disco funk, Radiohead to Grease. … whose thoughts about a blues night with a made-for-the-purpose bar evolved into the idea – already mooted by others during the Bowie weekend – that the sim should have its own permanent bar / cafe. Despite being such an obviously dubious character, Micky is also a do-er, and it’s to his great credit that he realised his own vision by building the place himself. Micky ‘gets’ Furillen – what it means and what it stands for – and it is in keeping that he thought the project through in terms of the history of the real Furillen, and imagined where the bar might fit in. He writes about this here. Later on today, I’ll be publishing another post by Micky, in which he reflects on art and its role in his life. Furillen has always been a collaborative sim, but this venture – it will be run by Micky, Dooozy and me – takes this onto a new level. I hope you’ll not only join us on Saturday to celebrate, but think about making your own contributions – with suggestions for themes and performances, pieces of art, and any other ideas. … well, everything I have written here is testimony to the fact that if an idea has legs, we’ll get it to walk. Talking of Muse, I’ll be seeing them a few times in London next week. The set list looks pretty good. There is no doubt that their older material is stronger, and they will be playing some decent stuff like Citizen Erased, Plug In Baby, Stockholm Syndrome and Map of the Problematique. In keeping with that festival, they were deliberately ‘heavy’, and it was possibly the loudest set I heard all year, barring Leftfield at London’s Roundhouse in October. For a festival gig, that is saying something – although to be fair, I was standing (being crushed) right in front of the massive bank of speakers to the right of the stage. Here is a video of the full set, although the quality isn’t great. Back to Furillen … the north western corner of the sim will soon be occupied by Furillen’s new venue, Bar Cafe Fabriken. This is a collaborative venture with Micky Siamendes and Dooozy. As I said in a previous post, the idea is to hold many of our music events here, while introducing a few new elements, such as DJs – rather then just me and my playlists – and live musicians. We can’t promise Matt Bellamy or Thom Yorke, but there are certainly a few Second Life musicians who will relish the opportunity to perform for the Furillenites. And finally … you have a few more days left to submit entries to Round 4 of the Furillen photography competition. Go here for a reminder of the theme and instructions for entering. I think it’s a simple, powerful brief – an album based on the love of life theme. 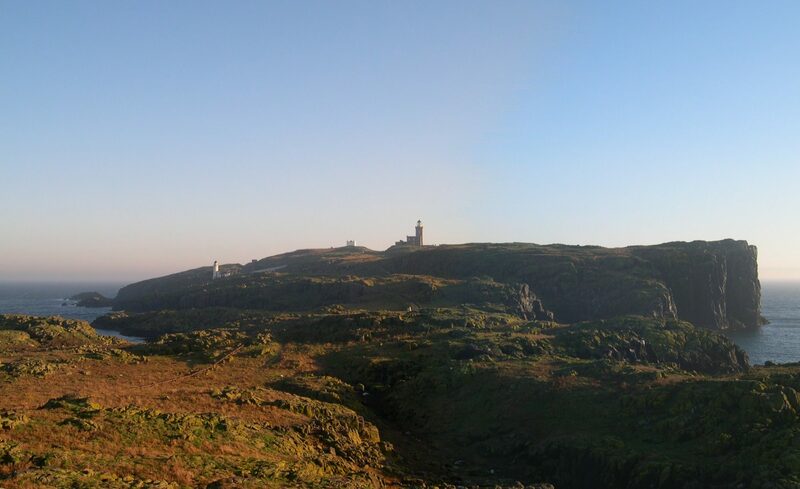 I’ve been following it myself with the series of E E Cummings poems that have featured on this blog during the past month. .. . even if it’s been raining rather a lot since I arrived. So my inworld time is both limited in time and diminished in quality this week. Which, of course, is no bad thing. 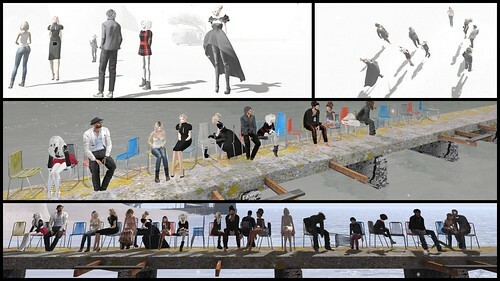 While KT focuses on the job of replicating the real Furillen in Second Life – she made the sim’s pier look uncannily close to the real thing – a number of the sim’s buildings are prefabs that merely echo what I imagine is the ‘spirit’ of the real place. The building I announced yesterday – Bar Cafe Fabriken – is a combination of both. 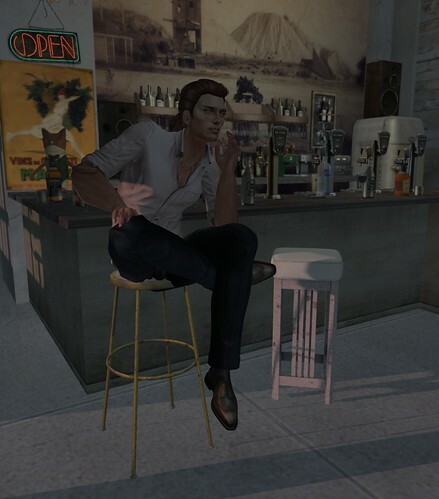 It is being adapted from an existing Second Life build by Micky Siamendes, but as you will see when it opens on 9 April 2016, the bar has been given a distinctive Furillen identity. 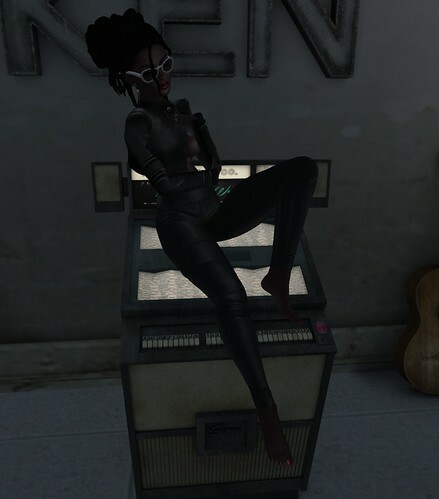 Micky and I thought about making the bar just for a blues night, but because we like it so much the plan now is to make it a feature of the sim, and to hold regular music events there.